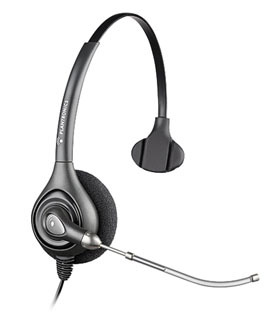 Continues to set the standard for durable, lightweight, monaural headsets for contact center and office professionals. The Plantronics HW251 SupraPlus headset continues to set the standard for durable, lightweight, monaural headsets for contact center and office professionals. Expanding on the classic style with new features, enhanced stability and updated styling, the Plantronics HW251 SupraPlus headset delivers a new level of all-day comfort and reliability.